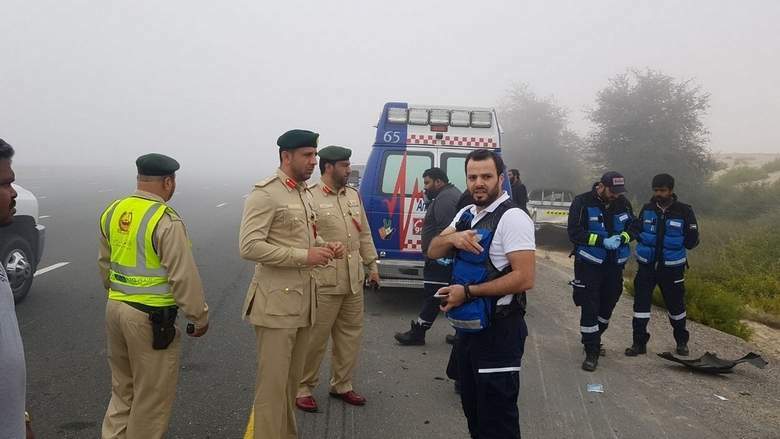 At least nine people were injured when 28 cars were involved in an accident on Emirates Road early on Thursday morning. The accident took place due to reduced visibility in dense fog that enveloped most parts of the country. The accident also resulted in congestion on the road in the direction towards Abu Dhabi.